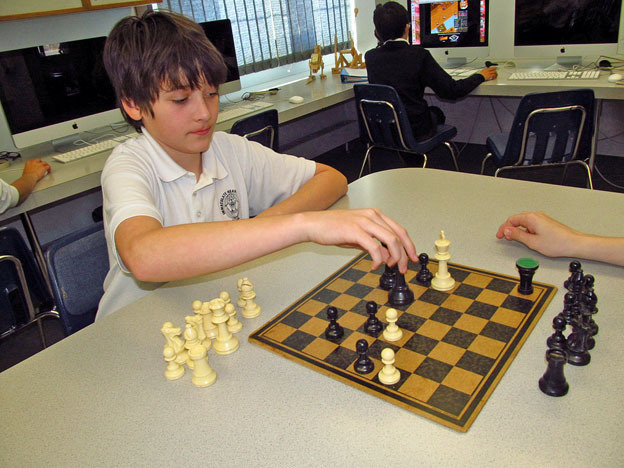 Chess is a popular winter pastime at IHMS when students are looking for a quiet activity to do during indoor recesses. 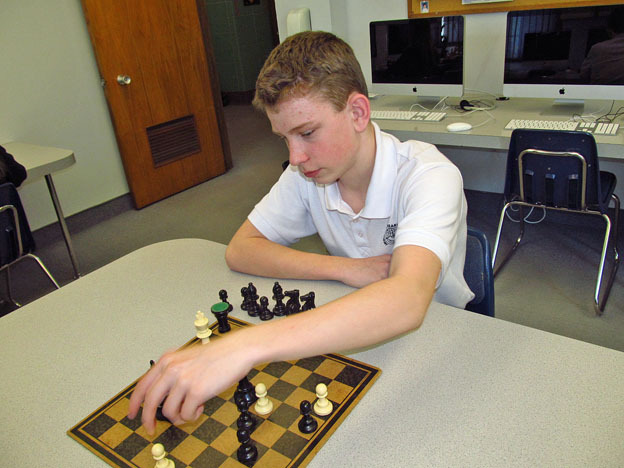 Appropriately, the chess club begins in January, and runs until March or April. Students who wish to participate sign up, and after a schedule is created, play against other students from their own grade. Everyone is responsible for arranging their own games and recording the outcome of those games. 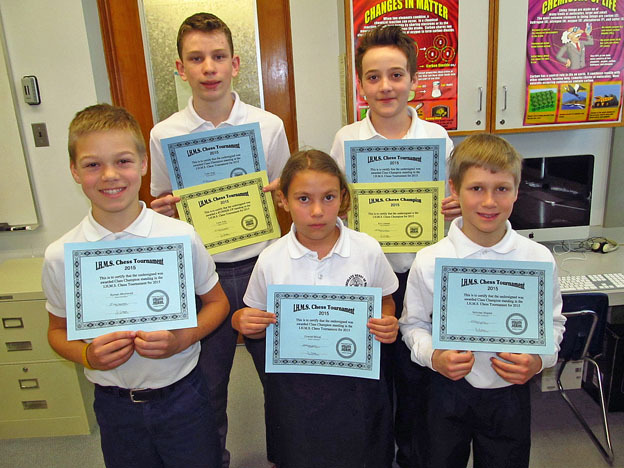 Grade 4 – Nicholas W.
Grade 5 – Chantel M.
Grade 6 – Roman M.
Grade 7 – Eric L.
Grade 8 – Collin A. 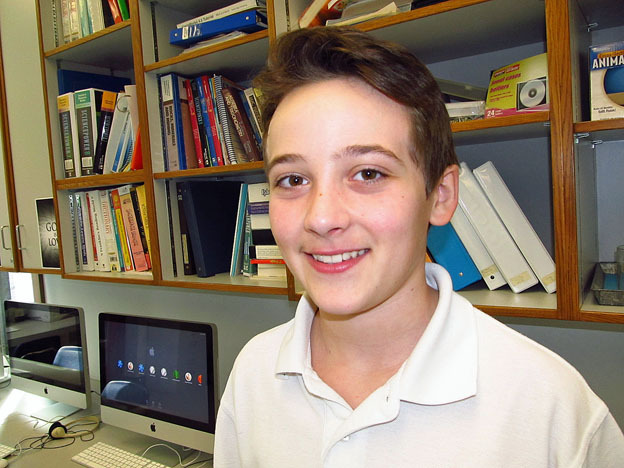 These classroom champions played a series of games against each other in order to narrow the field down to 2 finalists, and within a week or so, Nicholas and Chantel were quickly eliminated, followed a few days later by Roman in the semi-finals. 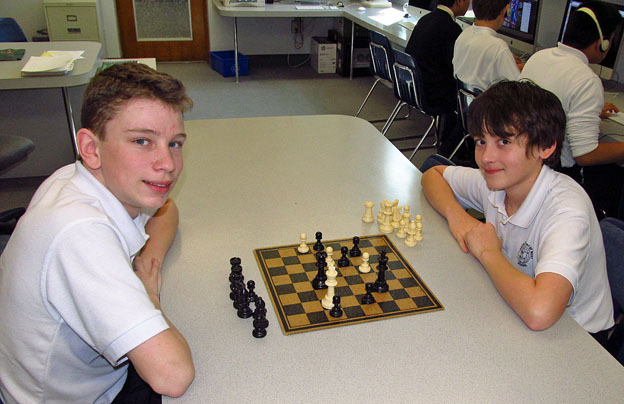 The remaining two players, Collin A. and Eric L., moved on to the chess finals. 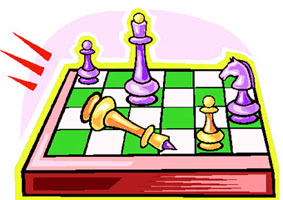 So in the final round of play, Collin and Eric squared off to determine the winner in a set of five games – the first person to win 3 games out of 5 would be the chess champion for 2015. Eric had the better winning record, but Collin was older and more experienced. Well, unlike the tension and excitement of previous few years, this year’s finals turned out to be a blowout! The whole thing was over quickly with Eric very easily winning 3 straight matches and emerging as the 2015 IHMS Chess Champion!